Two non governmental organisations – the Health of Mother Earth Foundation, HOMEF and We the People, are alarmed and unease with the federal government’s order to the Nigerian National Petroleum Corporation to take over the operation of oil well in Ogoniland. 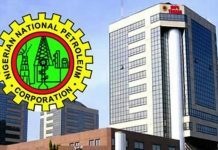 The order was contained in the recent memo originating from the Presidency and addressed to the group manging director of the Nigeria National Petroleum Corporation; and signed by Abba Kyari., chief of staff to the president. In the said memo dated March 1, 2019, with reference number SH/COS/24/A/8540, the NNPC and NPDC are directed to take over OML 11 (located in Ogoni, River state) from Shell Petroleum Development Company. The letter states: “NNPC/NPDC to take over the operatorship, from Shell Petroleum Development Company, of the entire OML 11 not later than 30 April 2019 and ensure smooth re-entry given the delicate situation in Ogoni Land”. “We consider this instruction by the Presidency insensitive, ill-advised and capable of inflaming suspicions and conflict in an area that is already very fragile and prone to crisis,” HOMEF and We The People said in a statement made available to Realnews on Monday, March 18.. The statement recalled that in 1993, Shell was forced to abandon its OML 11 operations located in Ogoni and pull out of the area, following campaigns by the Movement for the Survival of the Ogoni People, MOSOP, led by environmental rights activist Ken Saro-Wiwa, for fairer benefits to the Ogoni people from oil wealth, as well as compensation for the damage of their environment. The campaigns by the Ogoni ethnic nationality for a better deal from the Nigerian state also includingrestitution for the dearth of poverty in Ogoniland, as well as recognition and responsibility for the ecological damage of Ogoniland occasioned by the activities of oil companies. “It is important to note that the fears of ecological damage which the Ogonis expressed was confirmed in 2011 when the United Nations Environment Programme, UNEP, released its assessment report of soil and water samples from Ogoniland. The report confirmed massive soil and water contamination which has significantly compromised sources of livelihood and was slowly poisoning the inhabitants of the area. So alarmed was UNEP about the findings that it recommended that inhabitants of the area immediately stop using water from all their traditional sources, while the government was to immediately commence a clean-up exercise which could take up to thirty years, and amount to the biggest soil and water remediation exercise ever embarked on. As damning as the report was, its recommendations remained unattended until 2016 when the government established administrative structures to commence the clean-up. “Given the above, it is worrying why the government will decide to resume oil extraction in Ogoniland when the pollution of the last decades is yet to be cleaned and the recommendations of UNEP have not been fully complied with. 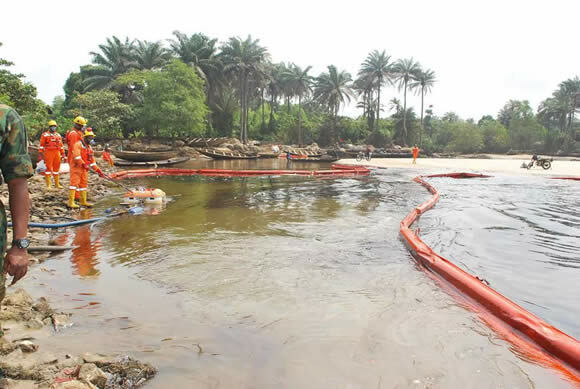 The action of the government at this time gives the impression that it only flagged off the Ogoni Clean up through HYPREP in order to purchase the goodwill to resume oil extraction in the area. 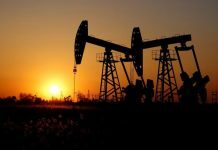 How else does one explain the fact that a site supposedly being cleaned up will resume full oil extraction activities with all the pollution that comes with it?” the statement said. HOMEF and We the People also noted that “the demands of the Ogoni people which led to the abuses they suffered in the hands of the Nigerian Military in the 1990s, and the termination of oil operations in the area, have still not been addressed. It is disappointing and demonstrates a lack of initiative for the government to imagine that those concerns have simply withered away with time. Those of us who have remain connected to the communities know for a fact that the Ogoni people remain resolute in their resistance to any renewed hydrocarbon extraction in their domains. The statement signed by Nnimmo Bassey, executive director, HOMEF and Ken Henshaw, executive director, We The People, strongly recommend that the government withdraws this order for the resumption of oil activities in Ogoniland, and rather concentrates on redeeming the ecological disaster in the area, and replacing the lost sources of livelihood of the people.